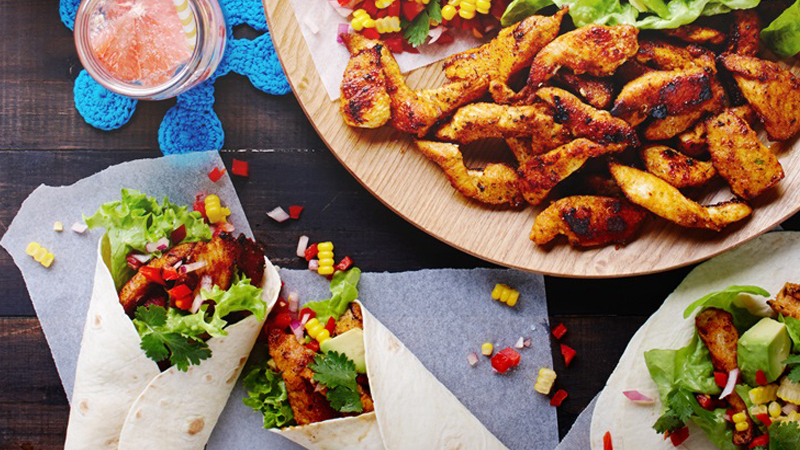 Our Old El Paso™ Chicken and Corn Salsa Burritos recipe makes 6 delicious Burritos bursting with fresh flavours. 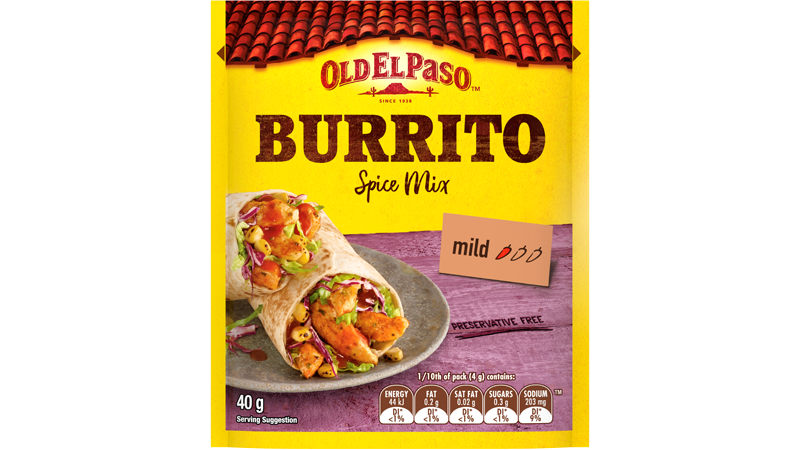 It’s an authentic Mexican dish made using our Burrito Spice Mix and Tortillas. These Burritos are perfect for any Mexican meal. Toss chicken in Burrito Spice Mix to coat. Heat a little oil in a frying pan, add chicken and cook over a medium heat until golden brown. Cook corn in boiling water for 2 minutes. Cut corn from cob and combine with onion, capsicum, coriander and lime juice to form a corn Salsa. Place warm tortillas, lettuce, avocado, chicken and corn salsa onto a large platter and serve – everyone can build their own Burritos any way they like!